The conception of the larynx has been developed from the "figura locutionis organorum" in Morgagni's renaissance medicine until the modern concept of the vocal tract. This represents an exemplification of the relation between the brain and the integrated sensory organs: eye and ear in particular. The ear, through the acoustic pathway, is responsible for the contents of the listening. The voice, analyzed with a spectrogram, represents the final laryngeal product of a complex integration with communication tasks and affective contents. 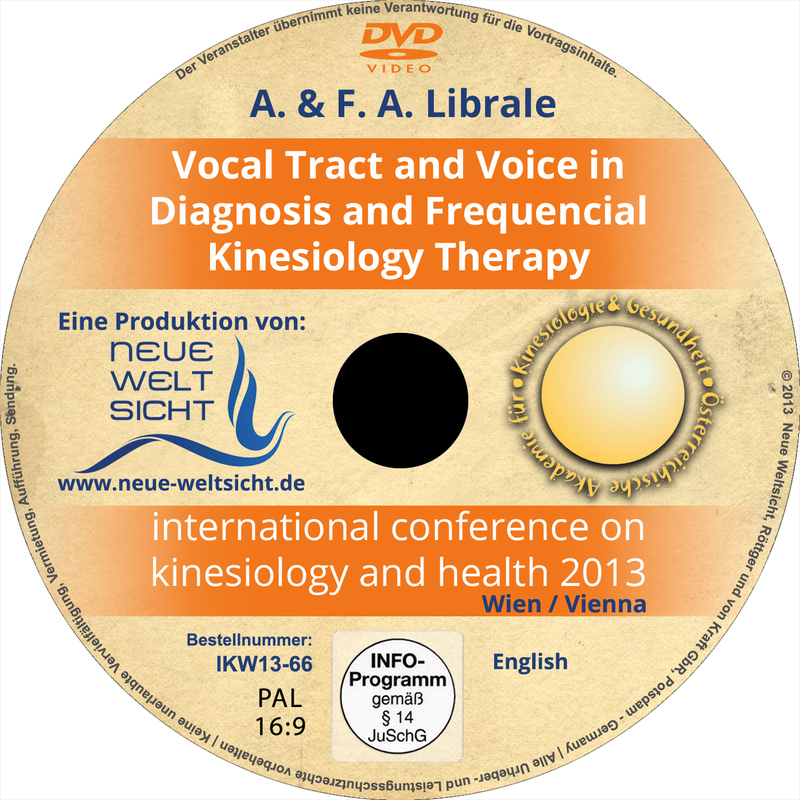 In synthesis the voice produced in the vocal tract is arises as epiphenomenon of the emotions, giving a possibility of a diagnostic and therapeutic examination in the Kinesiology Based on Healing Frequencies. Antonio has been working for over 20 years with kinesiology; he did many researches combining kinesiology with quantum physics. 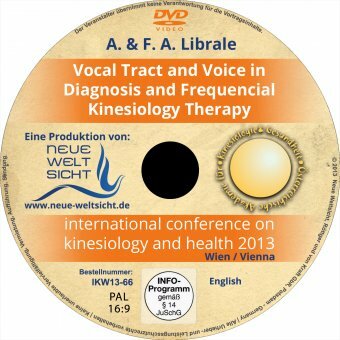 All these researches resulted in a new type of kinesiology, called Frequencial Kinesiology. He did scientific publications such as some articles about Frequencial Kinesiology and also a work called "Frequencial Rehabilitations in Sensor Neural Hearing Loss". In 2000 he published a book about Frequencial Kinesiology and physiology. Antonio has been researching for over 10 year about spinal damages such as hemiplegia and paraplegia, poliomyelitis, dyslexia and autism. Francesco is Antonio’s co-worker; he graduated in kinesiology in 2013 at Hugo Tobar’s ICNK in Australia.